Because there is so much misinformation about what a "Mormon" is, the Church has been encouraging members to attend the movie "Meet the Mormons" in the theater to help keep it in the theaters longer so that more non-members can watch it and learn a little more about is. I went on Thursday night to watch this movie. What amazing stories! Not only does it introduce non-members to the church, but it strengthens the members. Today at church, I got to meet one of the cast members! 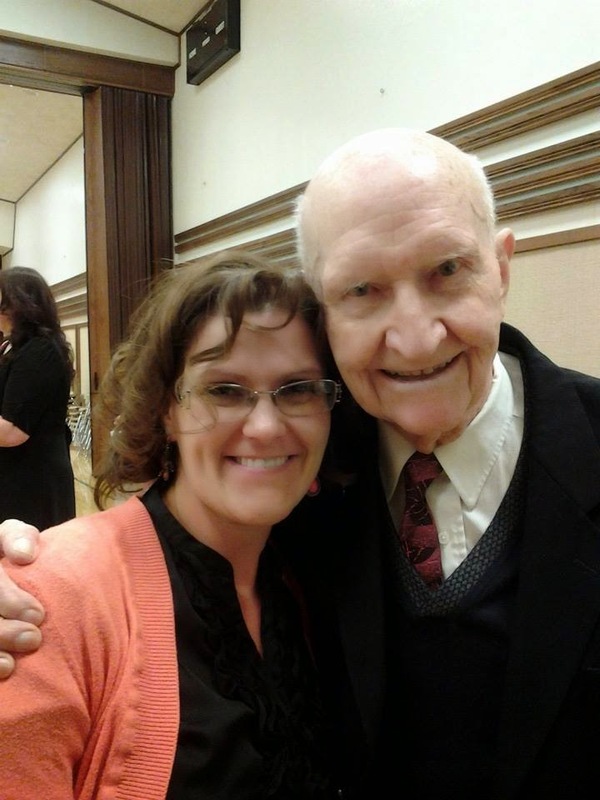 My bishop's wife is daughter of the "Candy Bomber" and he came and spoke to us today in church. What a lovely man, and such an amazing story! You can tell he has modeled his life after Jesus Christ, and I was honored to get to meet him.